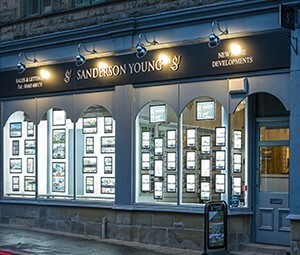 “The relocation of our premises in Alnwick to 35 Bondgate Without has been a resounding success” reports Duncan Young, Chairman of Sanderson Young. 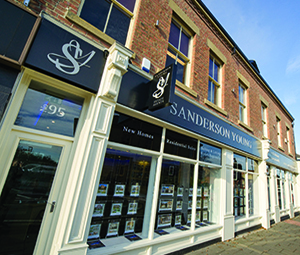 The opportunity to find new premises just outside the tower, within the heart of the town centre, was a tremendous success for Sanderson Young. 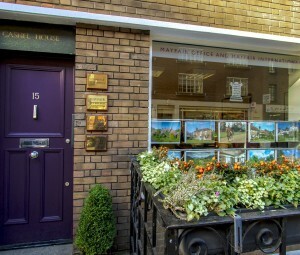 The new premises have recently been fully refurbished and now provide a very welcoming office with 5 large attractive window displays. 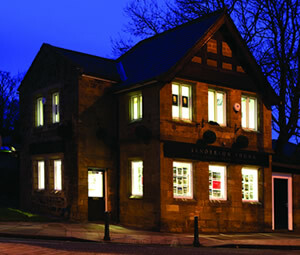 The premises underneath Alnwick Squash Club, which is a well known and attractive stone fronted building, have created quite a stir since they lie adjacent to the flow of traffic as it enters into Alnwick and is often an area where people have the opportunity to stop and view such an impressive window frontage. Our new location opposite the renowned Alnwick Playhouse, which is currently being regenerated to create a theatre, café, tourist information centre and library, will allow us to be part of a real hub within the community. The team has recently been strengthened with the appointment of Lauren Black, who joins the company on an administration and sales negotiating basis. She is keen, young, and enthusiastic and is undoubtedly going to provide quite an asset to the dedicated and experienced team in Alnwick. 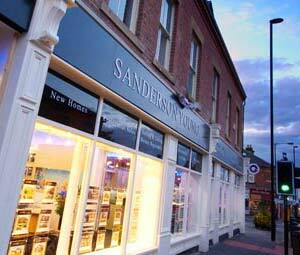 Duncan Young, Chairman of Sanderson Young, continued to comment: “The future of our Alnwick office looks particularly bright and we have recently secured an instruction, on behalf of The High Street Group, to sell 13 beautiful homes in Amble near the beach and the lovely harbour; this development provides 7 fabulous townhouses and 6 beautiful bungalows. In Lesbury and in Warkworth our well respected and highly successful developing client, Lindisfarne Homes, offers two magnificent, small exclusive schemes of detached high quality, stone, family homes which are already proving to be extremely popular, with the Lesbury show house being purchased off plan before it was able to be completed, indicating how much interest this development has attracted. This flagship scheme is holding open days on Saturday 16th & Sunday 17th February providing the first opportunity to view these superb properties. Both the Lesbury and Warkworth developments will be completed this year. Another impressive development, Sea View in Longframlington, is also holding an open day on Saturday 16th February where 2 luxury 5 bedroom mansions are available to view. We are hoping to release further developments in Beadnell, Longframlington, Amble, and Alnwick in the near future, and we are constantly appraising fabulous schemes which are going to offer a diverse range of properties. 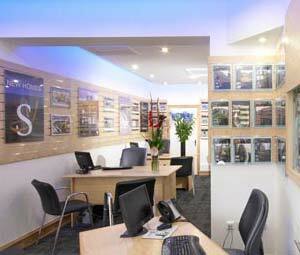 We look forward to speaking to you and we are available on 01665 600170.